The thousands of probiotics in our digestive tract are living organism that need food to survive. These probiotics don't eat just any food, the feed on prebiotic fiber. 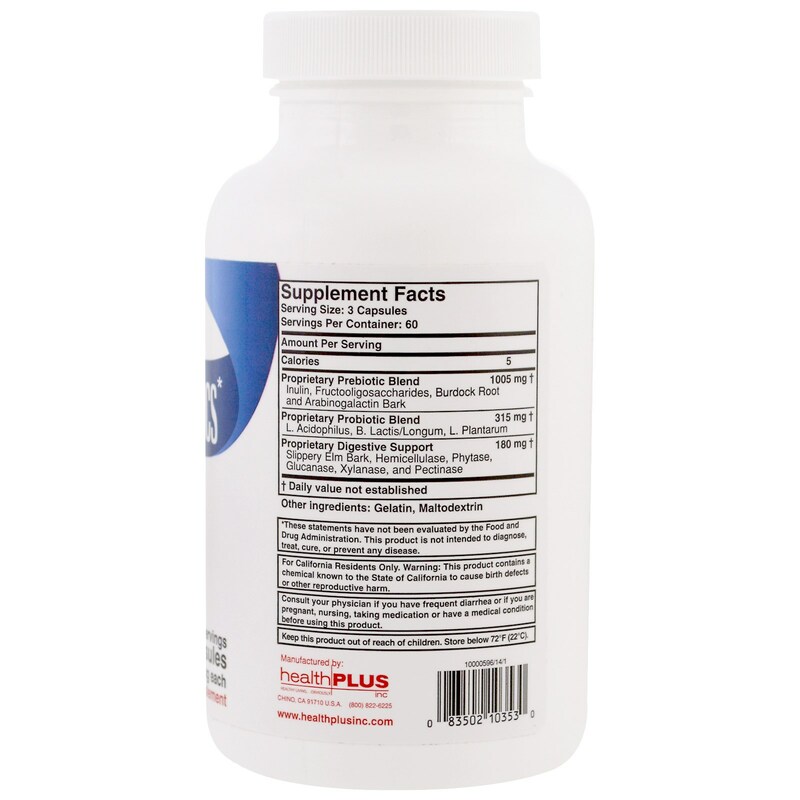 Prebiotic fibers are non-digestible to the human body, but highly digestible to probiotics. It is important to ensure you get enough prebiotics daily to feed the thousands of microflora in your digestive tract. 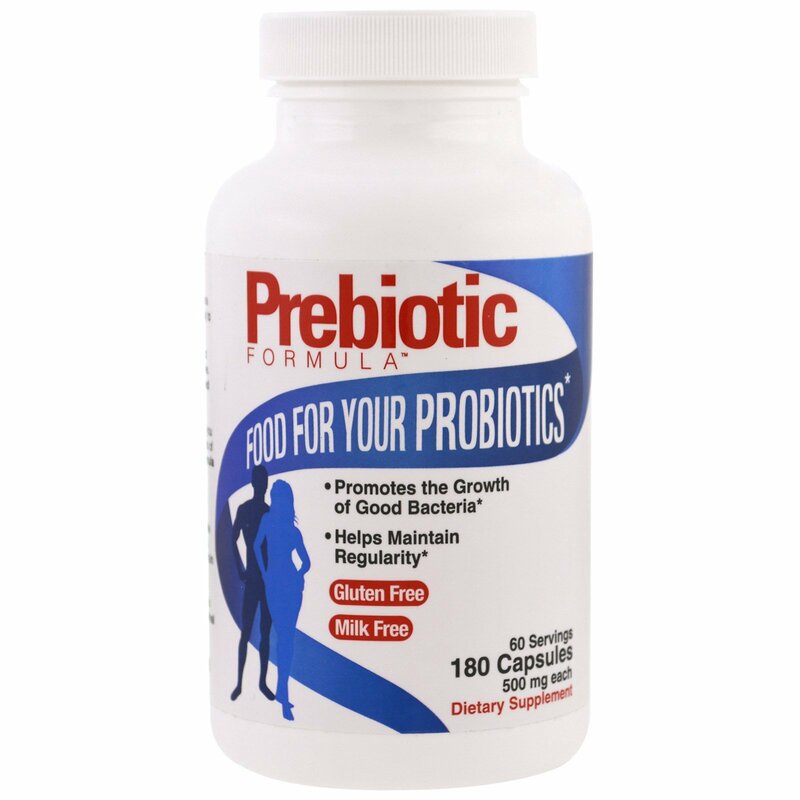 Prebiotic Formula provides your system with 2 grams daily of Prebiotics to help support the growth of good bacteria and to help maintain regularity. Our unique formulation provides you with multiple sources of prebiotic fibers, such as FOS, Inulin, Burdock Root, and Arabinogalactan. Each strain of probiotics has a particular function and the thousands in our bodies work synergistically to maintain a well-functioning digestive system. It is essential to help encourage all probiotic survival and growth. Adults take 3 capsules twice daily. 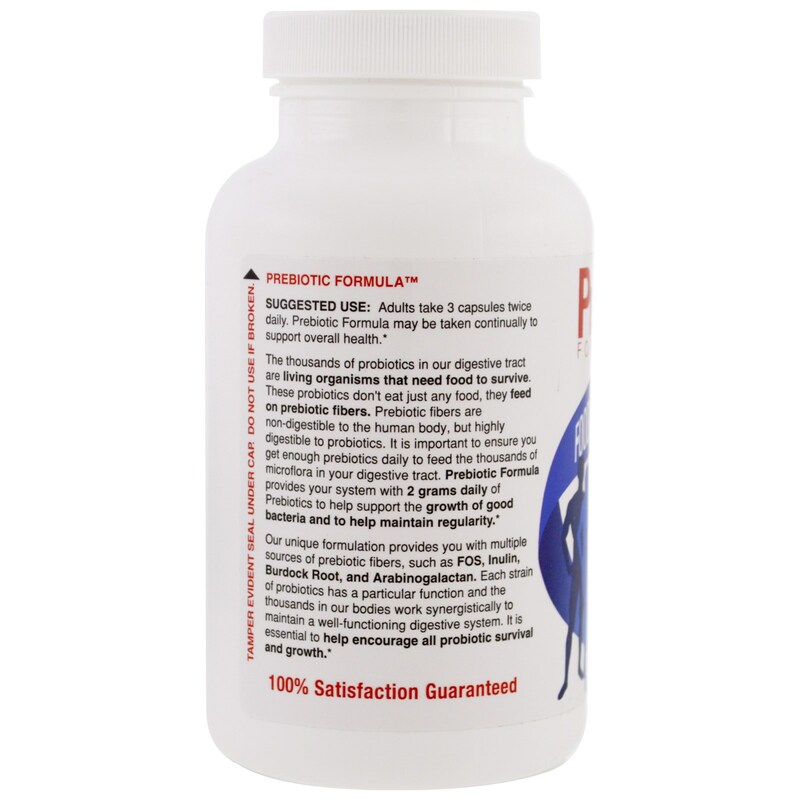 Prebiotic Formula may be taken continually to support overall health. Consult your physician if you have frequent diarrhea or if you are pregnant,, nursing, taking medication or have a medical condition before using this product. Keep this product out of reach of children. Store below 72°F (22°C).